Actress Regina Hall visits the Build Series to discuss the movie “Girls Trip” at Build Studio on July 17, 2017 in New York City. 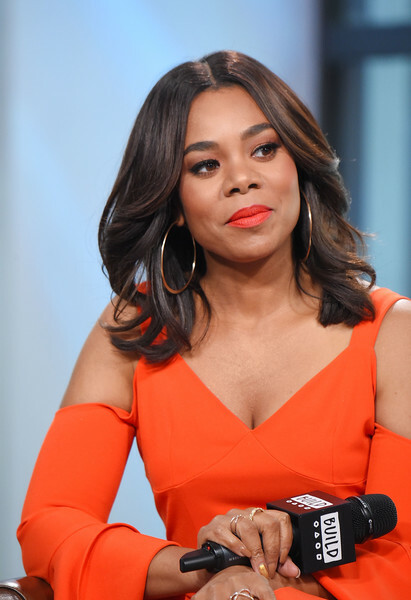 *Regina Hall gets sucked into Discovery Channel’s Shark Week tonight with a visit to “Shark After Dark,” a late night talk show that airs only during the network’s annual all-shark-everything week. For five consecutive nights, director/producer/writer/actor Eli Roth is joined by celebrity guests and shark experts to go over Shark Week highlights in addition to giving viewers a sneak peek at the next day’s programs. Tonight (July 25), “Girls Trip” star Hall will join comedian Chris Hardwick and marina biologist Craig O’Connell to weigh in on the battle between east and west coast sharks and expose the truth behind some of the most viral shark footage on the Internet. “Shark After Dark” premiered Sunday, Jul 23 and will wrap Thursday, July 27 (11:00 – 11:30 PM ET/PT) on Discovery.